Inspiring children to pursue higher education. That’s why Stevens Institute of Technology assistant professor Stephanie Lee hosted an event for the Center for All Abilities (CAA) on January 20. CAA is a nonprofit organization serving children with disabilities in New York City’s Chinese immigrant community. They offer learning enrichment programs and mentorship events to support students ages six through 18. "The Walk With U/MAX mentoring program exists to reach children and youth with special needs including developmental, behavioral and learning differences," says CAA program mentor Alison Lin. "Key elements of our program include one-on-one/group mentoring and outings to achieve goals tailored to the strengths and interests of the [students]." For the students who visited Stevens, those interests include higher education and STEM careers. That’s when Lee, who works with her research group in the Department of Chemical Engineering and Materials Science, stepped in to help. "I volunteered as a mentor with CAA for three years," says Lee. "Being a first generation American myself, I was attracted to the mission of CAA to serve children with disabilities in the Chinese immigrant community in Manhattan." "As a mentor, I incorporated science projects into activities and loved seeing the students’ excitement over learning about how the world works," Lee continues. "My volunteer experience was extremely fulfilling and I am grateful to have had the opportunity to invest in young people’s lives and expose them to new experiences and ideas." To that end, Lee and her research group—chemical engineering graduate students Xiaoqing Kong, Zhuoqiang Jia and Kai Zong, as well as Stevens alumna Shuo Li—led two sets of science activities for the CAA students in grades two through ten. One activity was in the Lab for Multiscale Imaging, using the scanning electron microscope to look at different objects like "coins and electronic circuits," Lee clarifies. The CAA students liked that. Chemical engineering Ph.D. student Xiaoquing Kong shows CAA students how to use a scanning electron microscope to look at samples of organic semiconductors under high magnification. The other activity for the CAA students was in Lee’s laboratory using the metal evaporator and learning how to use their glovebox. CAA student using a glovebox. "We designed activities for the group that would expose them to both university-level research and college life," says Lee, "with the hopes of inspiring them to pursue higher education." Undergraduate chemical engineering student Dakota Van Deursen helped with that last part by giving campus tours and sharing his own experiences of college life. "My students did a fantastic job engaging the students in interactive activities," gushes Lee. The CAA students definitely appreciated their hard work and efforts. 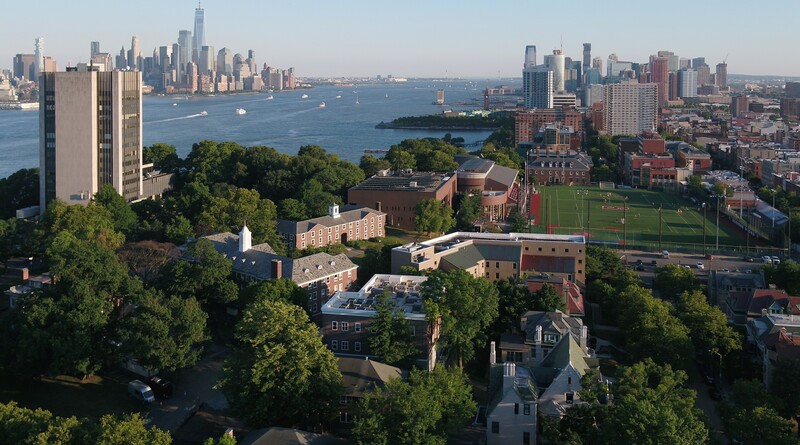 "We are so grateful that we were able to visit the Stevens institute of Technology campus" says Lin. "Our group has never visited a college or university and this was a great experience for us. A few of our mentees are at the age where they are considering different colleges so this was definitely exciting for them!" Even the younger CAA students were "definitely amazed," by Stevens, according to Lin. Chemical engineering Ph.D. student Xiaoquing Kong shows younger CAA students images in the Lab for Multiscale Imaging. "It was especially meaningful to me to reconnect with some of the same children who were in the program when I was a mentor," says Lee. "I look forward to continued partnership with CAA!" We bet they do, too. CAA students watching a presentation in the Lab for Multiscale Imaging.